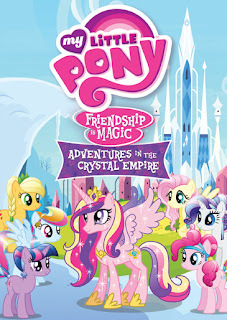 My boys enjoy watching My Little Pony, and we were all happy to find out that My Little Pony: Adventures in the Crystal Empire and My Little Pony: Pinkie Pie Party would be released on DVD this month! 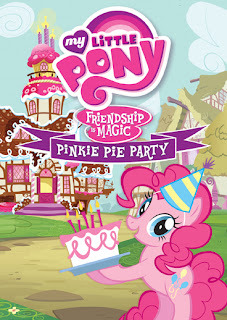 Pinkie Pie is my kids' fave! My daughter fave is Rarity, Pinkie Pie and well All of them! For Miss R it is Rainbow Dash! apple jack is the favorite at our home. My daughter is a big fan of Rainbow Dash! My daughter loves Pinkie Pie!